University of Plymouth and Plymouth SciBar co-hosted a Science of Cocktails event at the Plymouth Gin Distillery - to celebrate both the University's 150th and Plymouth SciBar's 10th anniversaries. Noel Jackson, Head of Education at Newcastle's Life Science Centre, presented on the science and history of gin and cocktails after which the Plymouth 150 cocktail was officially launched. The University shares a strong naval link with partners Plymouth Gin who very kindly offered to develop a cocktail for our special anniversary that captures the essence of this shared heritage. 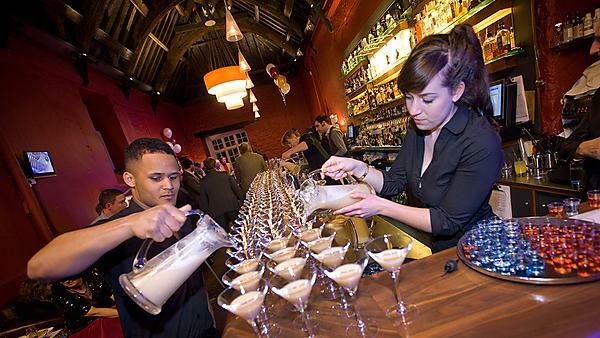 The Distillery's mixologist, Matt Green, wove together an unusual array of ingredients to create the special 150 cocktail from locally sourced ingredients, including clotted cream and apple juice. On 17 July 2012 100 guests attended a drinks reception at the House of Lords hosted by Lord Kestenbaum, an honorary graduate of the University. 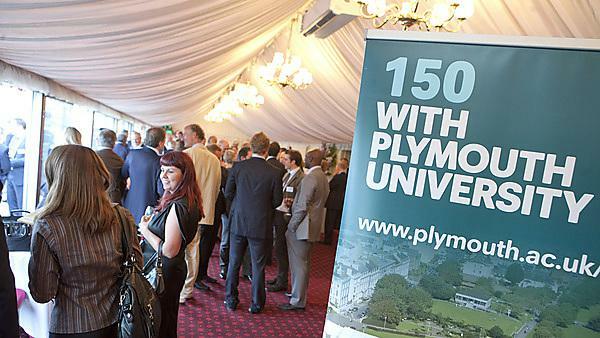 The prestigious invite-only event brought together staff, students, alumni, honorary graduates and friends of the University to celebrate our 150th anniversary. Lord Kestenbaum opened the evening with a welcome address, before Professor Wendy Purcell talked about exciting recent developments including the brand new state-of-the-art marine building, and thanked all supporters of the University. Our 150th Anniversary Celebration Service was held in St. Andrews Church on 16 September 2012. This was a special service to celebrate and give thanks for the work of University of Plymouth, our partners and the marine and maritime environment. The Navigation Conference, held at University of Plymouth, was a two day conference focusing on the art and science of marine navigation. Marine navigation is once again going through a period of rapid change with developments in electronic technology including the Electronic Chart and Information System (ECDIS) and e-navigation. The conference glanced back to identify the need for a school of navigation in the mid 19th century, and focused on present and future issues, recognising the importance of accurate navigation in society. Thematic sessions in the conference covered issues such as modern techniques in making the chart, the continuing need for navigation aids, developments in position fixing, the human interface, simulation, training and ‘future horizon scanning’. This event was also part of the Plymouth Marine City Festival. The Oceans of Potential Conference was held at the Graduation Marquee on Plymouth Hoe on 11 and 12 September 2012. This event showcased the breadth of activity and expertise that exists at the University within the Science and Technology disciplines and reflected on areas that are covered in both teaching and research activities. This event was also a part of the Plymouth Marine City Festival. A weekend of events was held to celebrate the 150th anniversary since the founding of Plymouth’s School of Navigation on 15 and 16 September. The weekend was for all those who have been involved in Nautical Education training at Plymouth, including former officer cadets, officers, undergraduates and postgraduates. The weekend included visits to the University Campus, a Plymouth Sound Cruise as well as our 150th Anniversary Service.